Itel mobile is out again with another smartphone from the member of the A series called Itel A31 smartphone. The Itel A31 is a very budget friendly smartphone with a medium spec , very cheap and affordable ,it cost about N21,500 currently , it runs an Android 7 Nougat out of the box which is quite nice from them. 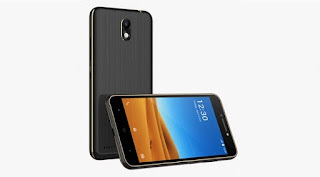 The Itel A31 also features a 5.0 inches display screen , its comes with a 1GB RAM and a 8GB of ROM , and its has a battery capacity of 3000mah. See more features of the Itel A31 below . Nice spec for an affordable smartphone, I like the fact that Itel is coming up with something good. But the reason why I love the phone is because it is cheaper.